Health officials have recommended that all UO students, with particular emphasis on freshmen and sophomores, receive a vaccine that will help protect them from the bacteria that causes meningococcemia. In a message to the campus community, acting Provost Frances Bronet said the university already has begun vaccinations and is working to ramp up to a larger campus vaccination effort. The vaccines will help prevent the spread of the dangerous illness. The vaccine effort follows the tragic death Tuesday of UO student-athlete Lauren Jones. Tests to determine whether meningococcal bacteria were a factor in her death have not been completed, but the university, in consultation with public health officials, has elected to move ahead with larger-scale vaccinations in the meantime. Three other students also contracted meningococcemia in recent months. All three are recovering. 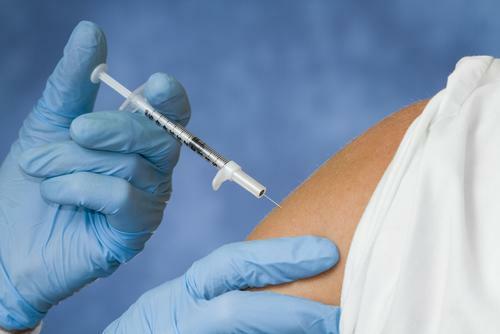 The meningococcal vaccine is only approved for use in people between the ages of 10 and 25, but the Centers for Disease Control is expected to decide soon whether to eliminate the upper age limit. Individuals who fall outside the approved range and who are concerned about potential exposure should consult their physicians. Health officials stress that even with several confirmed cases of meningococcal disease on campus, the transmission risk is considered to be low. The bacteria do not survive outside the body very long, and a person would have to be in close contact with an infected person for four hours or more over a week for the illness to spread. More information is available at the University Health Center website, meningitis.uoregon.edu. Counselors at the University Counseling and Testing Center also are available to provide support. Contact them at 541-346-3227.